Rome is teeming with art and culture. And all the noteworthy sites, like the Colosseum and Trevi Fountain, are packed with eager tourists trying to catch one glimpse or take one picture of the brilliant artworks. You might want to avoid crowds, but skipping these remarkable locations completely isn’t a good idea. Nothing can truly replace the captivating experience of taking the Vatican museum tour and witnessing the masterworks preserved inside. But between these hectic tours, you might need a breather, some peaceful time to explore Rome’s artistic gems all by yourself. So here are 4 lesser-known museums, often located near main tourist spots, but rarely visited. Wander around these offbeat places and enjoy the magnificent art minus the high foot traffic. This elegant gallery is located inside a 15th century palace just a few steps away from Piazza Navona, yet miles away from its crowds. 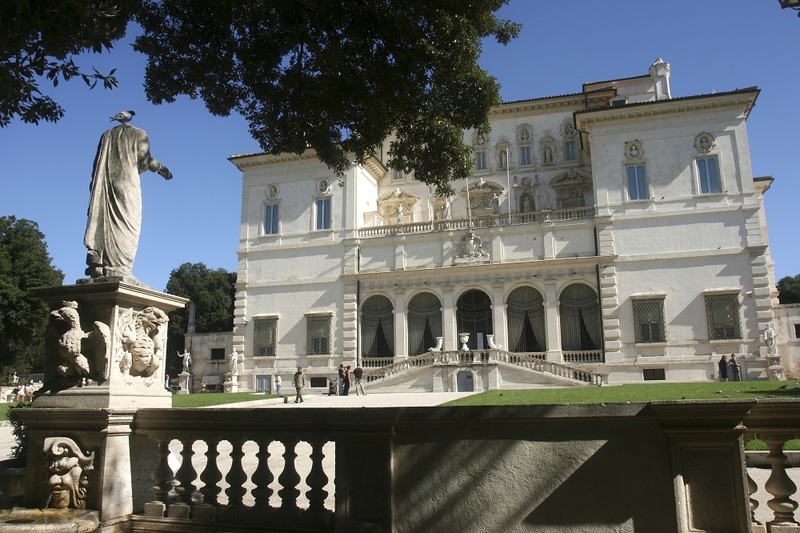 The palace includes a central courtyard lined with pristine marble figures and a loggia full of eye-catching paintings. The gallery inside is the dwelling of some valuable sculptures of Greek and Roman origin. The best thing is the arrangement of these statues– there’s ample space between them, allowing watchful eyes the freedom to admire each piece without getting overwhelmed. The ambience inside is unhurried and comfortable. 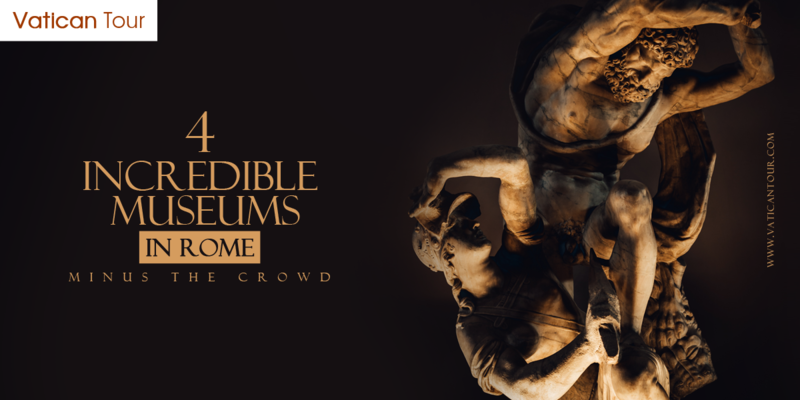 Palazzo Altemps and Palazzo Massimo are both included in Rome’s National Museum listing. However, this gallery has a more traditional design compared to Palazzo Altemps. If you are in search of a single museum with an all-embracing compilation of classical art, then this is the ideal place to explore. Some of the spectacular artifacts inside include vivid garden scenes painted around 30 BC, the bronze statue of a Greek Boxer at Rest and valuable jewels. Inside Villa Giulia is the gorgeous Etruscan Museum that offers visitors a peak into ancient civilizations that preceded the great Roman civilization. But sadly, this fascinating place doesn’t attract many tourists. The museum is brimming with relics unearthed in Lazio and Umbria. The most valued among these is a Sarcophagus made with terracotta; it portrays a married couple in a banquet in their afterlife. It is incredible that this unique work has survived from 6th century BC. Wander through the entire museum and you’ll come across many more interesting antiquities that’ll spark your curiosity. It is true that you need to take Vatican and Sistine chapel tours to behold the greatest artistic creations. But, the paintings housed in Villa Farnesina rank just below the ones in Sistine chapel. The frescoes in the villa are gems of Italian Renaissance. You’ll also understand that the designer of the villa had remarkably fine taste. The suburban setting of the villa, with its manicured lawns and sun-drenched verandas overlooking the vast property, is sure to provide you boundless aesthetic pleasure. There are halls full of intricately beautiful paintings that transport you to scenic country settings. The places mentioned above are truly worth discovering. Thus, if you take tours of the Roman forum, make sure you spend some personal time with these hidden treasures located very near to the forums.